View photos from week two of offseason training. View photos from day three of voluntary mini-camp. View photos from day two of voluntary mini-camp. 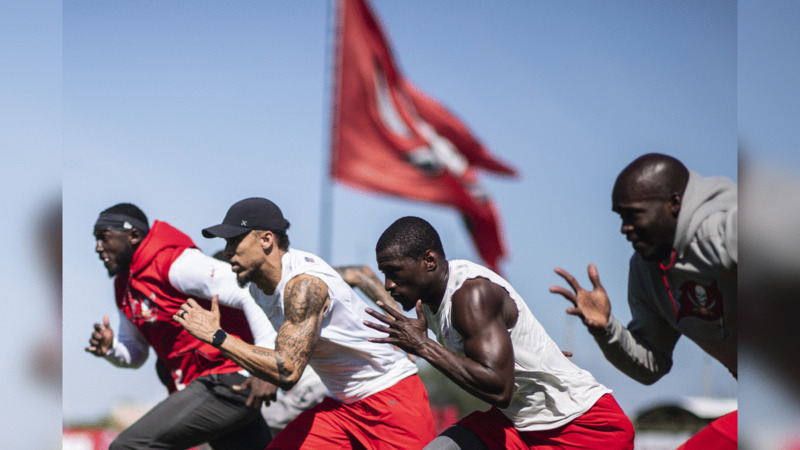 View photos from day one of voluntary mini-camp. View photos from the Buccaneers' practice on Dec. 27 at AdventHealth Training Center. View photos from the Buccaneers' practice Wednesday at AdventHealth Training Center. View photos from the Buccaneers' practice Thursday at AdventHealth Training Center.